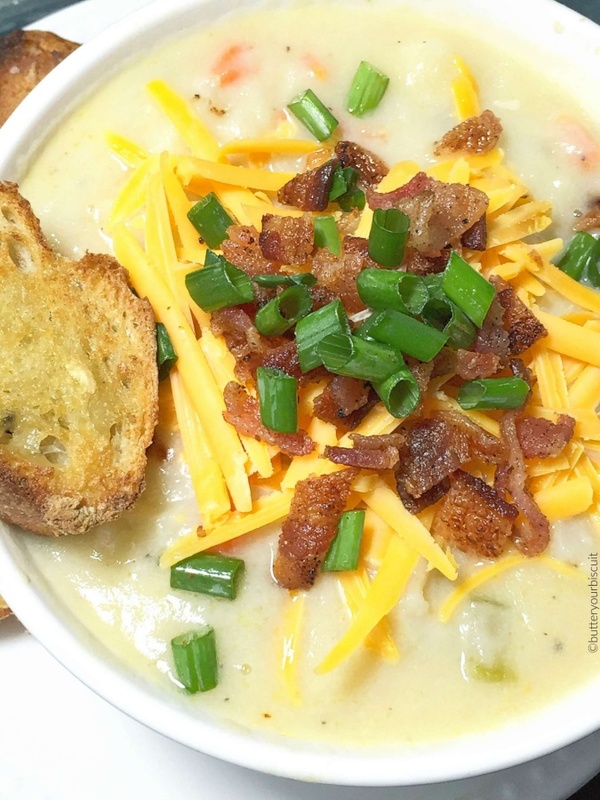 Loaded Potato Soup By Wendie - Butter Your Biscuits. This Loaded Potato Soup is super creamy and loaded with all the favorites! Comfort food at it best!